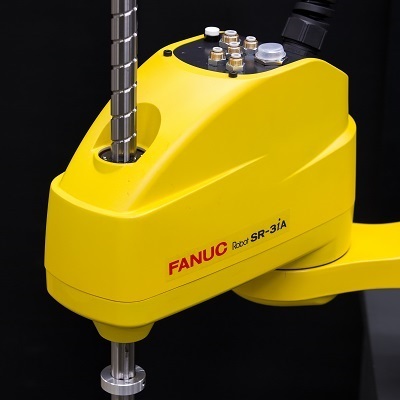 The FANUC SR-6iA makes a great choice for assembly, pick and place, inspection and packaging applications requiring a payload capacity up to 6 kg. 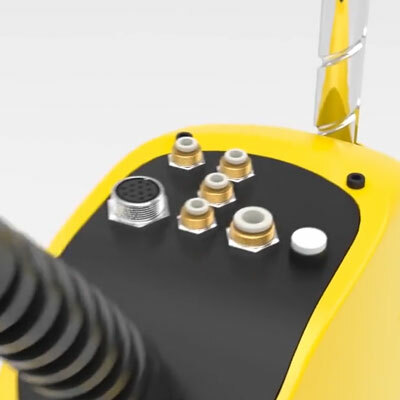 Sitting in a small footprint, the SR-6iA offers speed and precision within a 360° envelope. 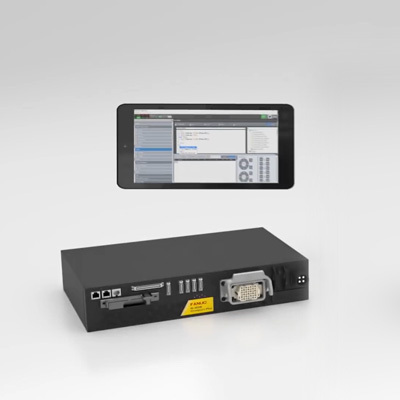 Its lightweight pedestal-design and integrated services minimise the risk of interference with peripheral devices. 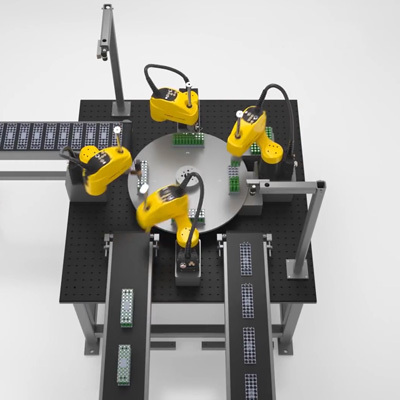 The speed, precision and dexterity offered by FANUC SCARA robots translates to increased productivity and more efficiency for your business. 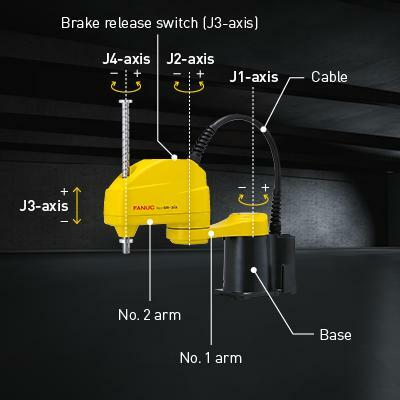 Equipped with a brake release switch on its arm, the FANUC SR-6iA ensures easy error recovery. Do you need less payload? 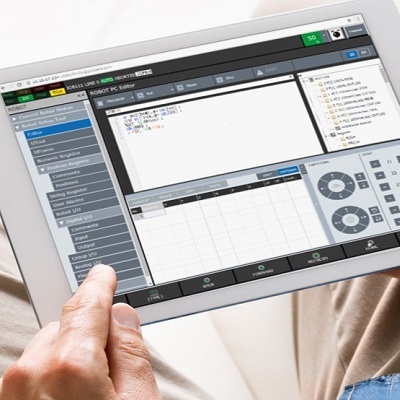 FANUC SCARA robots use iRProgrammer – a web-based interface that lets you program the robot easily and intuitively with a tablet or desktop computer or by using optional Teach Pendant. 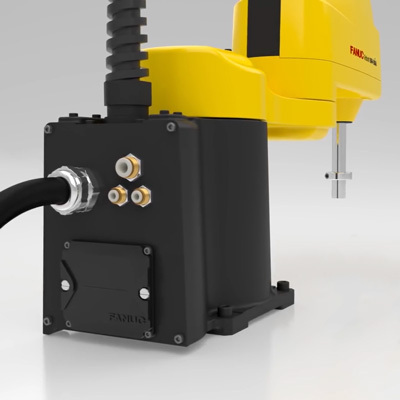 Featuring intelligent functions such as iRVision, iRPickTool, force sensing or conveyor tracking, the new R-30iB Compact Plus controller makes best use of limited space. 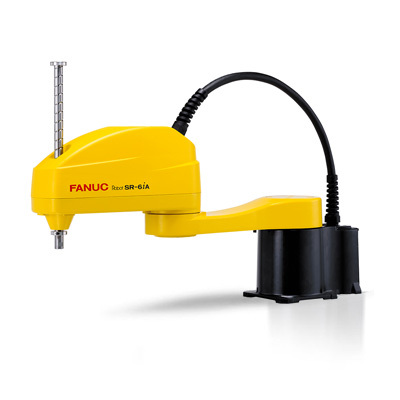 FANUC SCARA robots are available with wall mounting equipment options or a bottom cable exit.